I failed to plan my garden properly and now facing the problems of the sloping garden. 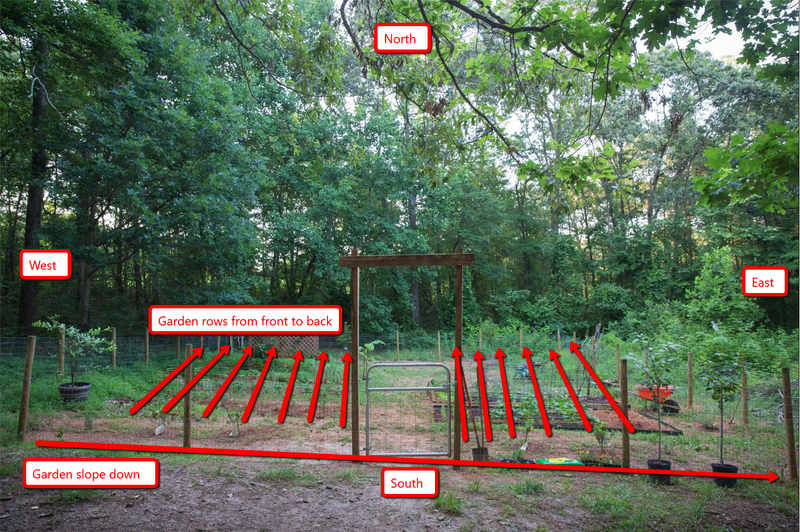 After looking at my garden, it’s not ideal to have the planting beds horizontally since the rain and garden waters wash the dirt to the slope side of the garden, see large image. The box planting beds seem to help and it’s a temporary fixed but not ideal long term solution for my garden. This made me think of a hillside garden, which means I have to plant my rows vertically and this will be good since the sun rising on the East side of the garden will shine evenly row by row, and the West side of the garden has more shade and I can plant vegetable crops that will grow in light to partial shade such as snow peas, cabbage, carrot, and garlic. I think the herbs will do well also. I would love to redo my garden right now but it’ll have to wait until the Fall. The hillside garden made me think of the sloping Mekong gardens that I saw while visiting Laos in 2008. My garden will not be this extreme but this looks interesting and I can’t wait to redo my garden in the Fall.